1. Enhancing – the provision of some form of relative advantage. 2. Changing – the ability to do something new, something not previously possible. Which as you can see links to PCK another framework we have covered in this course. As I create my professional experience folder and begin preparing for prac I figured I’m going to have to start thinking about planning lessons, particularly with ICTs integrated. Another student, Tyahnie Wilson reflected on a previous experience of hers and says, “I relied on the students input during the lesson to shape the teaching environment which proved to be effective because the students were actively contributing to the lesson without major prompting.” This really highlighted the importance of adapting your lessons to suit the children you are teaching, each lesson plan will be taught differently depending on the classes needs. In doing a quick search on planning for lessons, I came across this site, which has lesson plans based on each learning area (maths, science etc) and for each grade, and is also linked directly to the Australian curriculum. During the learning paths each week we have been introduced to different resources that will help us whilst out on prac, as well as, when we have a class of our own. Previously we were introduced to scootle, a website that contains a mound of online and interactive resources, unit and lesson plans all linked to the Australian Curriculum. – ICTs should enhance learning. This is established firstly by asking, “can this activity be done without using ICTs?” if so, the ICTs are probably not enhancing students learning. As you can see, I don’t have an extensive list of qualities so far, however, I somehow cam across this article that outlines the Key characteristics of good quality teaching and learning with ICT. 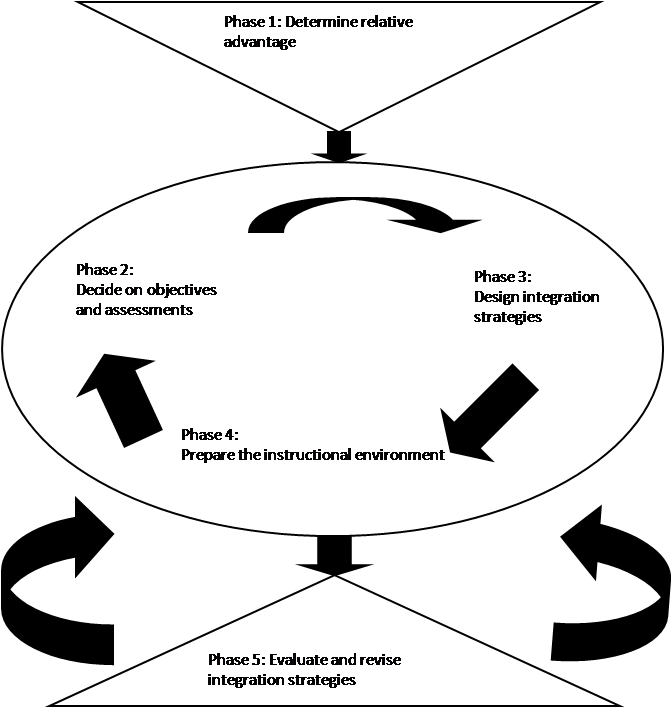 I was thinking that the implementation of this framework as a supporting pedagogy when integrating ICTs into the classroom could help to enhance students learning by providing some of the key characteristics of good ICT-based learning. In my PLN, I also follow this blog by Kathleen Morris, who has focused on using student blogs as digital portfolios. She has outlined the process she went through to establish the blogs, how it supports parent involvement, how it helps students learning and how it has helped develop a classroom community. I wonder if the students blogs being used as digital portfolios could also be a form of assessment, as you are able to see the students progression of learning and thinking processes as mentioned previously… what do you think? Aditi Rao has developed a table to explain this concept which can be found at this blog post. Fellow blogger, Tannie Little, extends this idea further by stating, “Using ICT in the classroom should be more than just replacing paper and pen for an online tool.” In other words, asking ourselves, can this activity be done without using ICTs, and if so, it’s probably an example of using technology, rather than integrating it. Another blog I have been following, reinforces this point by stating, “Enhancing and transforming learning with ICT is vital but needs thoughtful planning as we develop our individual “digital toolboxes”. What tools we choose to put in that box is important but how we use them is even more so,” once again emphasising that it’s not just about using ICTS in our teaching but how we use them that enhances learning. This week we revised what we have previously learned about constructing and transforming knowledge. In a previous post, I have summarised what each of these terms refers to. This week we explored these types of knowledge in relation to the Australian curriculum. The learning path highlights how some learning areas, such as science, history and geography have explicitly outlined which content descriptors are constructing knowledge and which are transforming knowledge. While the maths and English learning areas this isn’t so clear. This information has been summarised below. – how to perform a task?